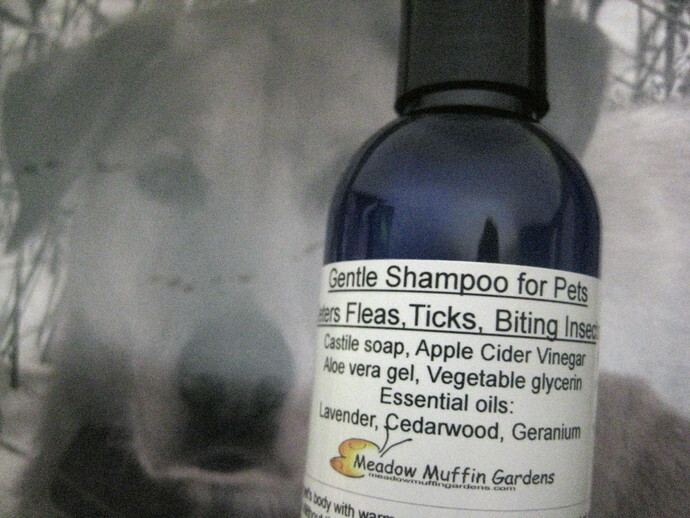 The added essential oils are very useful to deter fleas, biting insects and ticks. The three chosen for this blend are Lavender, Cedarwood and Geranium. There are several good ones to use but these three are safe for dogs, puppies and cats. You have to be very careful with the use of essential oils on cats. Cats are very sensitive to oxygenated compounds in plants with high phenols, ketones, D-Limonene and Alpha-pinenes. That leaves out most of the pines, mints and citruses. The livers of cats cannot break down these compounds therefore they would be stored in the fatty tissue and create problems as they build up. Cats usually don't take kindly to getting a bath but often flea baths are necessary with new arrivals. Other than that, cats are very efficient at keeping themselves clean. Dogs only need baths if there is a flea problem, if they rolled in something nasty, or got a little too excited on a muddy day. 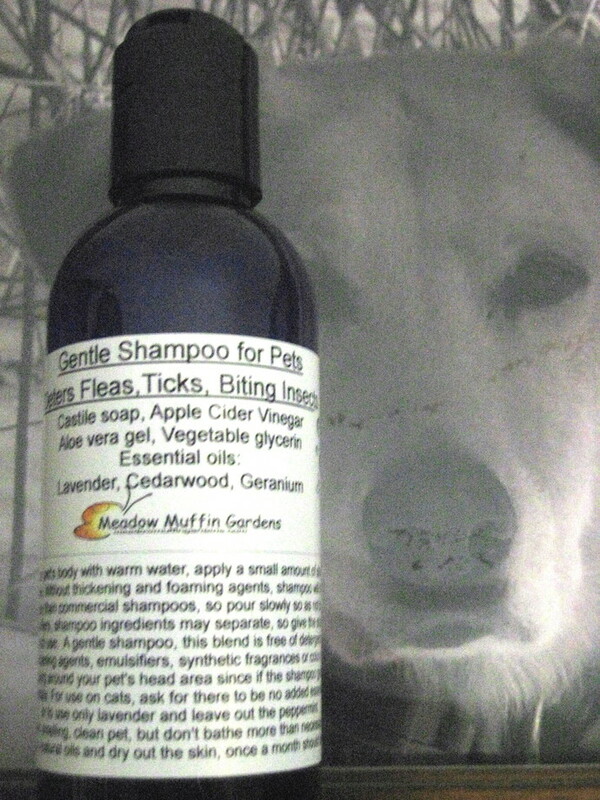 If you are using the shampoo for dogs and prefer a different essential oil blend for fleas, just let me know. Other good ones are peppermint, lemongrass, citronella or lemon.